Are Chelsea the "little horse" in the title race compared to Arsenal and Man City? It's been a few days now since Chelsea beat Man City and Jose stated that in the title race this season, Chelsea were the "little horse" compared to Arsenal and Man City. I am wondering whether or not you agree? 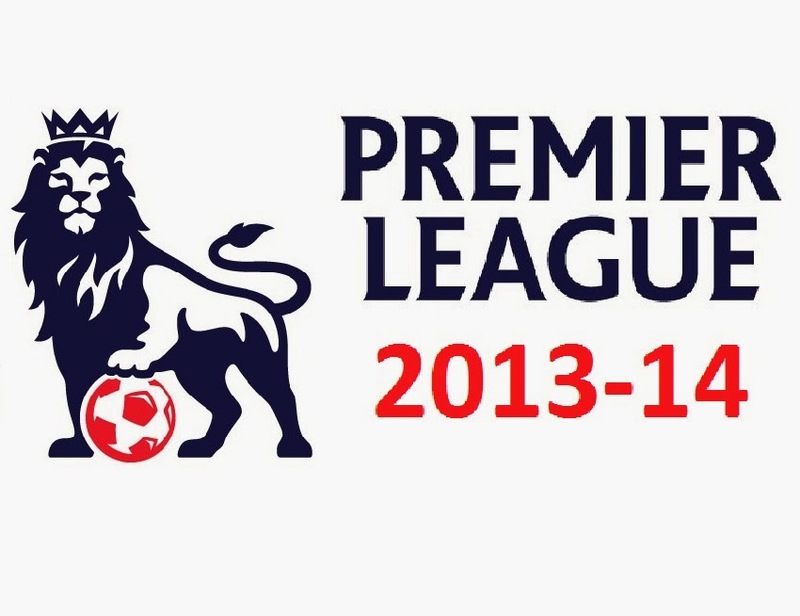 The reason I am asking is because of our record so far against our rivals for the top four and the title this season. We have taken a point from The Emirates, White Hart Lane and Old Trafford in addition to three points at Eastlands, while at home we have beaten Manchester United, Liverpool and Manchester City. Looking at the above, Arsenal have the most difficult fixtures to play as they have to face Chelsea away, Everton away, Liverpool at home, Manchester City at home, Manchester United at home and Tottenham away. Manchester City (in my view) have the second worst run in our of the three of us as they still have to face Arsenal away, Everton away, Liverpool away and Manchester United away. Chelsea's run in on paper is the least difficult as we only have to face Arsenal at home, Everton at home, Liverpool away and Tottenham at home. It's interesting to read as only by doing so, you realise that City have played more or less everyone at Eastlands and have to get on their travels against the big guns during the run in to the end of the season. Arsenal still have the most difficult run in because they literally have to face everyone and it will be a true test of their character bearing in mind they have not been involved in a title fight for a few years! 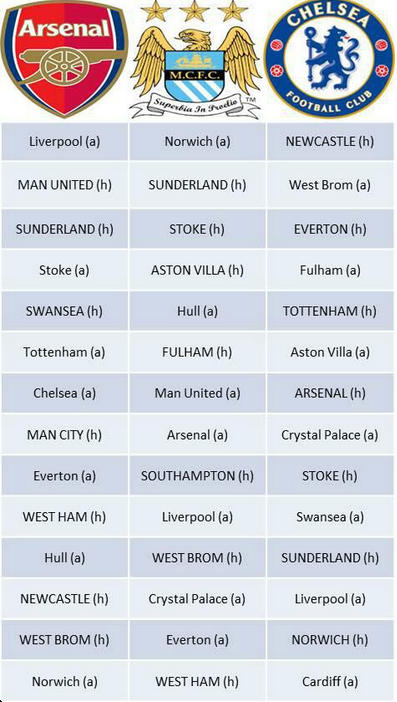 As for Chelsea, this is encouraging especially as we are coming into form at the right time. Slowly but surely Jose Mourinho's team is beginning to show signs of a Jose Mourinho team with the performance on Monday night a fine example. Jose Mourinho states that Chelsea are third favourites behind Arsenal and City but with the Champions League on the horizon and Bayern Munich and Barcelona waiting in the wings, I believe Chelsea have every chance of being right up there challenging with them. This brings me to the managers themselves. We have Arsene Wenger, Jose Mourinho and Manuel Pellegrini and despite Arsene Wengers huge experience in the Premier League, Jose is starting to pull the strings once again. Without question Manuel Pellegrini was ruffled on Monday night. He couldn't work out how we had set ourselves up and couldn't do anything to counter attack the Mourinho tactics. Chelsea continued to open up City in a way that no other side has done so this season. Arsene Wenger is still sitting there moaning and groaning and make comments about other teams and other clubs when he should keep his own house in order. We all know when push comes to shove between the two of them who would come out on top and it will be Mourinho. I am looking forward to seeing Wenger through this run in to the title based on the fact that he has to play everyone. What happens if Arsenal loses the odd game here and there? Will he too become ruffled just like Pellegrini while the special one continues to work his magic on the pitch and in the media? You should never underestimate the influence of Jose Mourinho and I cannot wait to see this run in played out before us all. What do you people think? Do you agree with Jose that we should focus on next season or do you believe that Chelsea are up there with Arsenal and Manchester City?